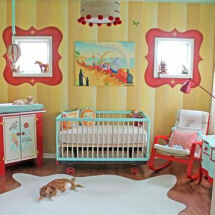 On this page we have a gallery filled with pictures of baby girls nursery ideas. The photos can serve as a reference for many DIY crafts projects providing decorating tips for popular baby nursery themes as well as the latest color combinations, baby bedding and decor. It's doubtful that anyone would want to copy another decorator's work exactly to the letter but there are crafts and DIY art that will inspire you and help you to find the perfect layout for your little one's first room. 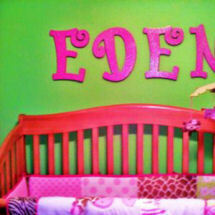 Expectant parents are welcome to use these photos as a starting point for their own personalized design. 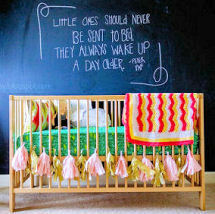 Relax, take a moment and enjoy these beautiful nurseries that have been decorated with such love by parents who are just as excited as you at the prospect of a new family member. If you read the articles accompanying the photos, you will learn that more often than not, a grandmother, grandfather or other caring family members took part in the fun. 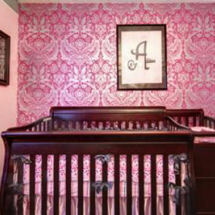 In many instances, the furniture that you see featured in the pictures of baby girls nursery decor has been recycled from an attic or pulled from another room in the home and refinished and given a whole new look. 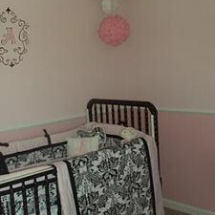 Feel free to leave appreciative comments, ask questions or share your own ideas for nursery decor in the form that you will find at the bottom of each page that has been provided by Unique Baby Gear Ideas for your convenience. 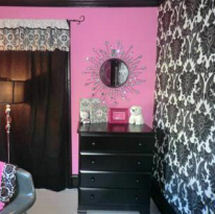 We do our very best to make it easy for our visitors to upload pictures to show off or get opinions on rooms that they have decorated or to get assistance with their projects if they happen to run into a problem and would like to request help from more experienced decorators or woodworking enthusiasts that would love nothing more than to offer advice and pass the help that they received themselves when they were beginners just starting out.